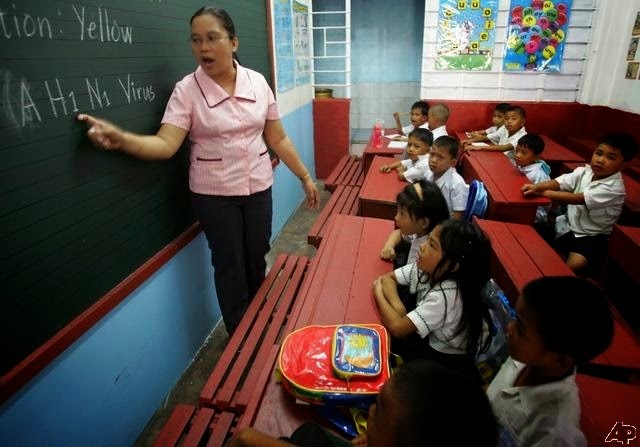 MANILA, Philippines - Senator Antonio "Sonny" F. Trillanes IV, supporter of teacher's rights and welfare has filed two separate bills promoting teacher's welfare, one increasing the minimum salary grade of public school teachers and second creating plantilla positions for volunteer teachers. "Our teachers are the prime movers of our country's education system. They are looked upon and heralded as molders of our youth. Yet, they are among the most underpaid and ignored professionals in the country," said Trillanes, chairman of the Senate Committee on Civil Service and Government Reorganization. Trillanes added, "It is imperative that we accord them the benefit they truly deserve as practitioners of the noblest profession." Under Senate Bill No. 487, Trillanes seeks to increase the minimum salary grade of public school teachers from salary grade 10 to salary grade 20, which is equivalent to P36,567.00 per month, in accordance to the 4th tranche of the Salary Standardization Law 3. The said increase, according to Trillanes, will provide them with decent pay commensurate to the sacrifices they make in educating the country's youth. Another relevant measure is Senate Bill No. 636, which aims to create plantilla positions in the Department of Education for volunteer teachers with at least five years of continuous service in the Philippine public school system. "Instead of implementing the ambitious K to 12 Program, which will just exacerbate the discouraging condition of our education system, our government should first address the concerns relating to the welfare of our teachers," Trillanes emphasized. Trillanes is one of the authors of the Salary Standardization Law, which increased the salary of government employees in 2008.